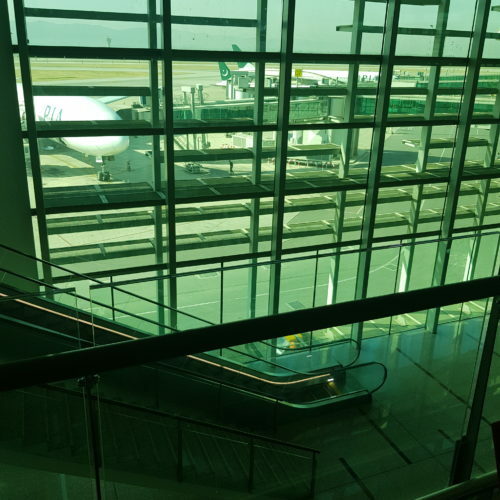 "a huge improvement on the old one"
✅ Trip Verified | The New Islamabad Airport is a huge improvement on the old one. From disembarking the aircraft through to passport control and finally collecting my luggage took less than 45 minutes. The staff at the airport were polite and courteous. The airport building is bright and clean. 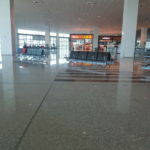 "much easier than the old airport"
Not Verified | I think that the new Islamabad airport is absolutely amazing and much easier than the old airport was. The security and immigration is faster than I thought. During my experience the staff were polite and did our check in fast. The boarding was fast, since the staff would just look at your boarding pass and let you board so that the plane departs on time. Another reason why I like this airport is that the car park is quite big and spacious. "staff service has improved a lot"
✅ Trip Verified | Great service, nice clean and beautifully built, staff service has improved a lot. It is amazing to see such a good standard of service in Pakistan, no one asked for a bribe which used to happen a few years ago. Well mannered airport staff, a great experience. "better than the previous airport"
Not Verified | New airport is very far away from the city area. Very time consuming to reach there. Parking is huge. Drop lane is good. No long queues. Cleanliness was an issue as washrooms very dirty. Only a few restaurants. Waiting lounge was too small to accommodate 2 flights. Overall better than the previous airport. "Much better than previous visits"
✅ Trip Verified | Much better than previous visits. Quick security pass, Quick customs, quick narcotics control. At the boarding counter we were received with a smile. Our luggage was 2 kg less and cabin was bit more so we were requested to shift it to our booked pieces. Waiting area was a big surprise, they have Pizza Hut, Dunkin Donuts and few other nice shops. (Don't use CIP lounge, it is only nice seating, nothing else). Terminal buses are Cobus finally. Overall it is better then before. "will be my least favourite from now on"
✅ Trip Verified | Landed at Benazir Bhutto International Airport Islamabad (Current Airport as New Airport still not operative). Upon Arrival the crew was very helpful it was a domestic flight so came out of terminal within 15 minutes. Upon next connection there were just 3 flights of 2 different airlines and Departure lounge was jam packed. Ground Crew handling my flight was very rude. They were prioritizing the passengers of flight that was almost 2 hours after my flight. Upon pointing out this issue they started quarelling. Wheelchair was already requested at my departure airport, but they did not provide any. Airport Security Officer had to provide me the wheelchair upon using her powers. This airport will be my least favourite from now on. "it's been refurbished and cleaned"
❎ Not Verified | I think ISB is nice. One reason is because it's been refurbished and cleaned. The second reason is because I might be wrong but you can correct me that the airlines EK, EY, QR & SV are treated like the airlines that saved ISB from corruption and bad reviews. 2 months to go to the new airport being opened. So I hope it was worth waiting for 7 more years. "wasn't as horrible as I thought it would be"
✅ Trip Verified | I was dreading arriving at Benazir Bhutto International Airport after I found out that the new Islamabad Airport was still not ready for operation. But surprisingly immigration, collecting our luggage, and customs took a little less than an hour. Yes Benazir Bhutto International is still an upgraded bus terminal whose usefulness ended 20 years ago but the arrival experience wasn't as horrible as I thought it would be. Now let's hope that the new airport will finally open in 2018. "this airport remains a woeful sight"
❎ Unverified | Definitely the worst airport in Pakistan. 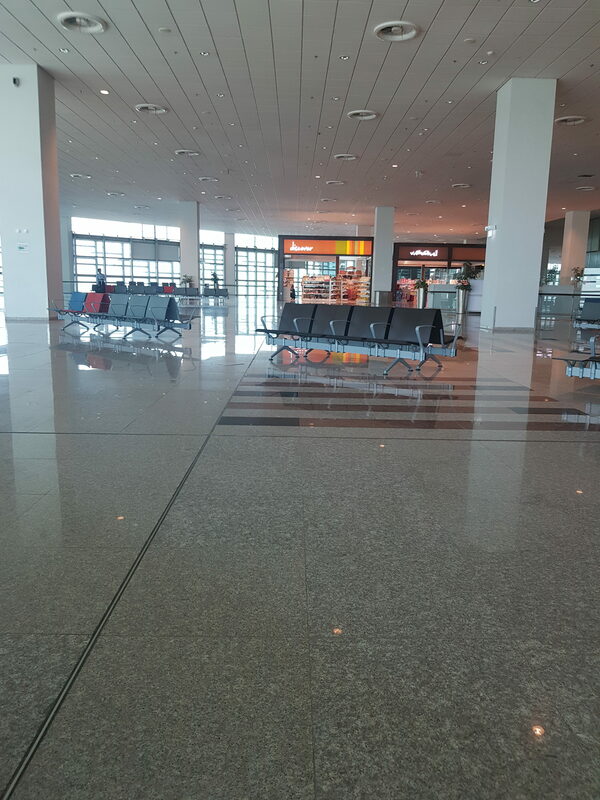 Domestic check in area was small despite the fact that that this airport serves the federal capital of the country. Staff seemed least interested in their job and more in the daily newspaper. Absence of jet bridges was not a problem for me as I am an aviation enthusiast. Waiting for the day when this outdated terminal is finally replacedby the new Islamabad International Airport. Lack of eateries is also felt although the staff at the Mr.Cod outlet were courteous and quick but this airport remains a woeful sight. At Birmingham airport my passport was checked I think 2/3 times, from the time I entered the doors to stepping into the plane. Here in Islamabad airport everyone wanted to look at the passport! Must have been about 7/8 times and one wanted photocopies of documents, why? In this day and age they still do photo copies! Which probably get binned as so as the plane takes off. No wonder Pakistan is making a loss when there are staff employed to check passports after the boarding passes are issued and we are on the way to the waiting area! He was just standing there by the door and put his hand out for the passports and never uttered a word. There's no other logical explanation why so many staff are employed to check passports and no one to check what's in the suitcase. One of my fellow travellers had over 50 sleeves of cigarettes and a kilo of tobacco and snuff as well and it cost him about £50/£60 to get it through the customs. How? The porters! He paid the porters and they in turn paid the X-ray guy, whose job is to stop cigarettes and other contraband and customs officers whose job is to randomly check baggage and it was all done with hand signs and whispers. The waiting area was ok but not enough seats for everyone. The chicken tikka sandwich lacked something, namely chicken tikka! And this was at the the dunkin doughnut concession. Whether it was a genuine Donkin Doughnuts or not I don't know. But there was piece of chicken the size of a child's thumb nail in the middle of the rectangle which had been cut into a triangle, to give the impression that there was chicken tikka in the sandwich. We bought 2 sandwiches and both pieces for show and nothing in the middle. Not good. Unfortunately the call to board was made and didn't get a chance to go to complain. Overall waiting area shopping was good and prices reasonable. But avoid Dunkin doughnut chicken tikka sandwich.